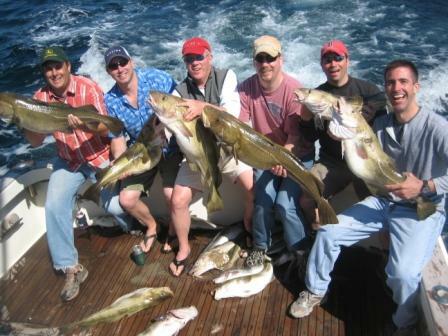 The AT&T Guys had a great Gloucester cod fishing charters aboard Tuna Hunter. Atypical of recent charters, the morning was slow, so Tuna Hunter moved around to locate hungry fish. 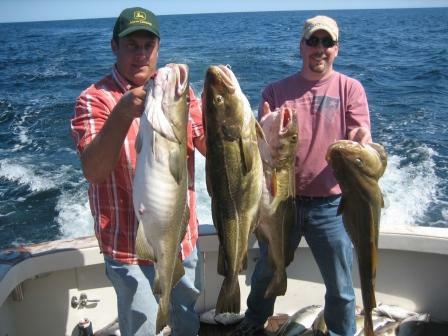 The moves paid off when they dropped jigs and bait into a podd of large cod. double headers of 20 – 30 lb codd kept the guys for AT&T busy for the rest of the day.